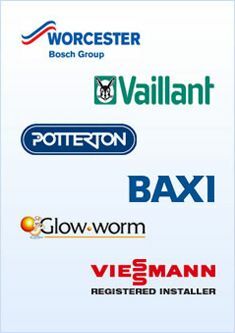 "Thank you for the installation of my boiler recently, your engineer was polite, helpful, clean and tidy. The boiler works great. Thanks". "They always turn up when they promise which is important to us"
"May I thank you for the recent installation of my hot water tank, Jason was very efficient"
Mr and Mrs Harvey of Wimborne. "Foxes have used Ace Plumbing for all aspects of our plumbing work over many years and have always found them to be extremely reliable and professional"
Mr M.Lyons - Foxes Residential Lettings of Bournemouth. "As residential letting and management agents, we often need work carried out at short notice or in emergency, as well as the routine day to day plumbing jobs. We have come to rely on Ace Plumbing who are always there when we need them and can be relied on to sort out the most difficult of problems!" "Thanks Ace for keeping us warm during our recent boiler problem"
"Please pass my appreciation on to John for the toilet replacement he did for me recently. He's a great plumber you should be proud of"
"Thank you so much for the help during our flood at midnight, you made the best of a horrible experience. Thank you"
Emma and John of Boscombe. "Having recently had my bathroom replaced I would like to thank your team for the clean, professional manner to which the job was undertaken"
"Your boiler man worked very hard to fix my boiler please thank him"
"Please convey my thanks to Ted the drain man. Fast problem solving for a somewhat embarrassing problem." "It makes a change to get an invoice that didn't make me fall over"
"During my recent heating problem - which turned into a gas boiler change - Can I say how refreshing it is to find a company who saw the job through from start to finish without a hiccup"
"Your drain team made a great, tidy job of our manhole issues". "Professional, reliable service by friendly and polite staff"
"We have used Ace Plumbing and heating for a number of years and have found the service they provide meets the reliable, prompt & professional standard both we and our Landlords expect." "As a Property Managing Agent I am in a position where I have to instruct contractors that are both reliable and efficient. Ace Plumbing have provided such a service to our clients for in excess of 15 years." "I must say how impressed I am with your service. When our boiler decided it was not going to work anymore, you were fast, polite, and professional a very rare combination these days. If anyone has a mini plumbing drama, give ACE a go!"